As a species, humans rarely take the time to exude kindness to each other, let alone our fellow inhabitants of this Earth. But motorists in New Zealand's largest recently provided a high-minded example of how to treat our mallard brethren with respect, ensuring their dignity and webbed-feet remain intact. This apparently happened at 7:45am on Thursday morning. 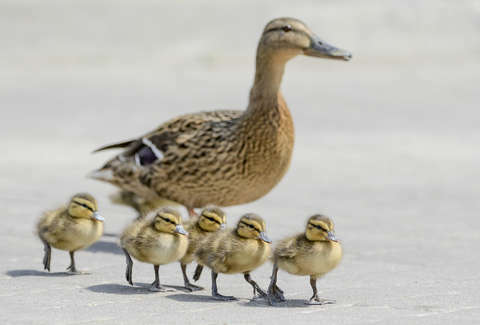 Shockingly, the Kiwi motorists are all alert and adept at the early hours, and allow the ducks -- led by their mother -- to traverse the entire three-lane highway unscathed. People on Twitter were quick to congratulate their species for its act of selflessness and humanitarianism. Go Team Human, looking out for cute ducks and their offspring since the invention of motor vehicles.